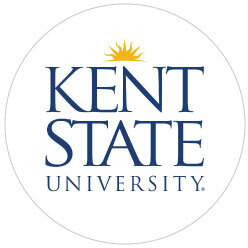 I am a senior at Kent State University and will be graduating with a Bachelor of Science degree in Human Development and Family Studies, Lifespan Development and Educational Sciences, with a Nursing Home Administration concentration in December 2016. Over the Summer 2016 semester I had the exceptional opportunity to do my Administrator in Training (AIT) practicum at Jennings, located in Garfield Heights. On the Jennings’ campus, just outside of Cleveland, full continuums of care service are offered for older adults. Jennings offers a person-centered environment, with the goal of ensuring “Life, as it should be,” for older adults. Some of the supportive services provided include: Adult Day Services, Alzheimer’s/Memory Care, Apartments with Services, Assisted Living, Home Care, Hospice, Long-term Care, Respite Care, Short-term Skilled Nursing and Rehabilitation, lavish independent living villa homes, as well as Child and Infant Care, allowing for intergenerational interactions and enrichments. Inspired by the Sisters of the Holy Spirit and the Catholic Diocese of Cleveland, Jennings embraces the spiritual dimensions of all individuals and offers a spectrum of spiritual care. Being able to learn from all of the different services offered that benefit the lives of elderly, will eventually allow me to be a very well rounded Nursing Home Administrator as I advance in my career. My philosophy for this Administrator in Training practicum has been that “Walking in other people’s shoes puts us on a path of understanding.” Jennings has allowed me to explore this philosophy throughout my AIT journey. I have had the chance to work hands on with every department within the facility; culinary services, maintenance, nursing department, admissions, social services, hospice care, marketing, human resources and the wellness center. This has led me to a more profound understanding of the roles of all staff within a department in the long-term care setting. In my practicum I have developed a functional knowledge of applicable laws and regulations in most of the departments and I look forward to further exploring the rest of them as my practicum continues through December 2016. During my practicum experience with Jennings, I have been working on a variety of quality assurance projects; with the ultimate goal of advancing top quality care for older adults, in order to maintain a longer autonomous life. The main project I have begun working on over the semester is developing and adapting an Acuity Based Staffing Model. As I have moved along with this project, I have learned from and worked closely with my preceptor, Colleen Lavelle, LNHA, Chief Planning Officer at Jennings, who has been guiding me through my project’s progress. This project’s development consists of creating an Index Tool that measures the residents’ complexity and independence in Activities of Daily Living (ADL). In order to cultivate a more accurate measuring tool of the resident’s acuity, I generated a more precise Index Tool, adapted from both the KATZ Index Tool of Independence in ADL’s and Mary Potter’s Hospice Nursing Acuity Tool. This project is in further development as I am working on arranging a proper Matrix for Acuity Based Staffing. Taking both the acuity and complexity of the residents into account when making nursing staffing assignments will maximize the clinical benefits and assure that top-quality care is provided, within the budged constrains. Proper Acuity Based Staffing can significantly impact the quality of care delivered and subsequently the resident’s outcomes. Acuity Based Staffing can ensure that residents are provided with person centered care through their decline, due to Dementia and Alzheimer’s Disease. Ultimately, this Acuity Based Staffing Project’s Outcome will entail five strategic steps. First the Acuity Index Tool Measure will determine the resident’s current acuity. Second, an analysis of possible changes will be made, determining whether the resident’s acuity has increased or decreased. Third, the staffing needs will be identified. Next, referring to the Acuity Based Staffing Matrix will allow the determination of the right number of staff, with the right skills, at the right location, at the right time and with the right assignment. Lastly, after the needed changes are implemented and the adequate staffing is adjusted, a re-evaluation through staff feedback will allow determination if the staffing changes are working and if there is an additional need for the resident’s acuity measure to be performed; if so, looping back to the first step. Although I am enthusiastic about the development of my Acuity Based Staffing Project, there are some obstacles that I have encountered. The use of my Acuity Based Staffing Measuring Index Tool and Matrix for Acuity Based Staffing by Jennings can be challenging as I have constructed them and there is no research or evidence support for the actual outcomes from using this exact Acuity Based Staffing Model. However, Jennings has been an exceptional learning ground for my AIT experience and I am eager to see the outcomes of this project development and gain knowledge as I continue my AIT practicum over the next few months. Being a member of the Ohio Scholars in Aging Program, Summer 2016, has enhanced my AIT practicum journey, through providing me opportunities for exposure to understanding the side of Ohio’s aging policy and regulation creation. The Ohio Department of Aging, through this program has offered me opportunities to network with peers, professionals and policy makers in the Aging field. This has allowed me to be more aware of the state’s involvement in long-term care practices. Being able to attend meetings filled with well-informed presentations and field trips have given me a deeper view of both the current and future aging generations. 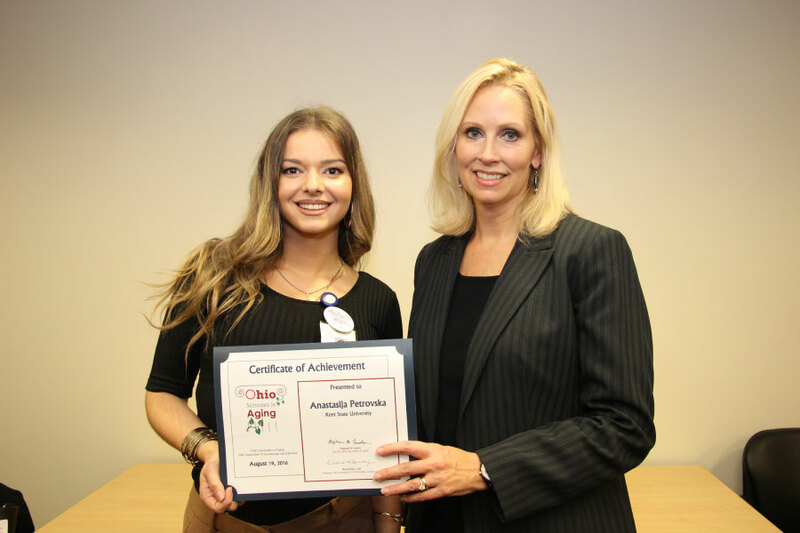 I am honored to have been selected as a member of the Ohio Scholars in Aging Program, as it has shown me the challenges that long-term care facilities and the older population face, and also provided me with hands-on networking experiences that I will be able to use in the future, as I strive to enhance personal care and services delivery to older adults. I am remarkably grateful to both Jennings and the Ohio Department of Aging for giving me these excellent opportunities that have helped me develop deeper knowledge of the long term care field. I look forward to completing my AIT experience with Jennings and beginning my carrier. My mission as a future Nursing Home Administrator is to provide outstanding healthcare and supportive services to older adults, while retaining employees, in a safe, productive and positive long-term care environment.